A modern wooden chalet in front of the Poas volcano. With a garden, and vegetarian and vegan meals. In front of the Poas volcano , only 15 minutes from the volcano, and 40 minutes from the Juan Santamaria international airport, Puerta de Jade, offers you a quiet vegetarian Guesthouse. It is a modern wooden chalet high in the nature. 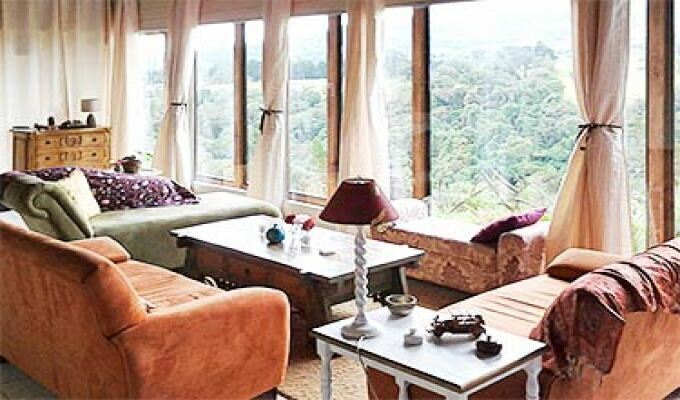 We offer 4 bedrooms, with private bathroom for those who just want to go visit the Poas volcano. For those who come for a Retreat, we offer therapies, guided Meditation, relaxation with Chromotherapy, professional therapeutic massages, Yoga lessons, and also Detox program with our juicy juices!